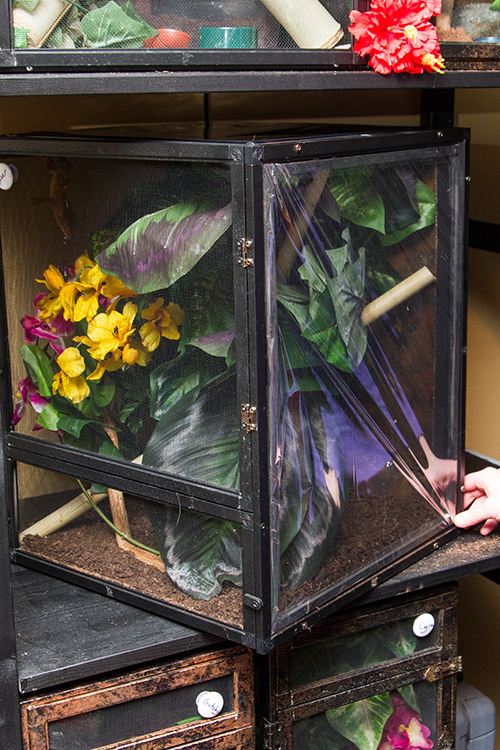 The screen Reptibreeze cages are cheap and lightweight, however, they are bad at holding humidity. 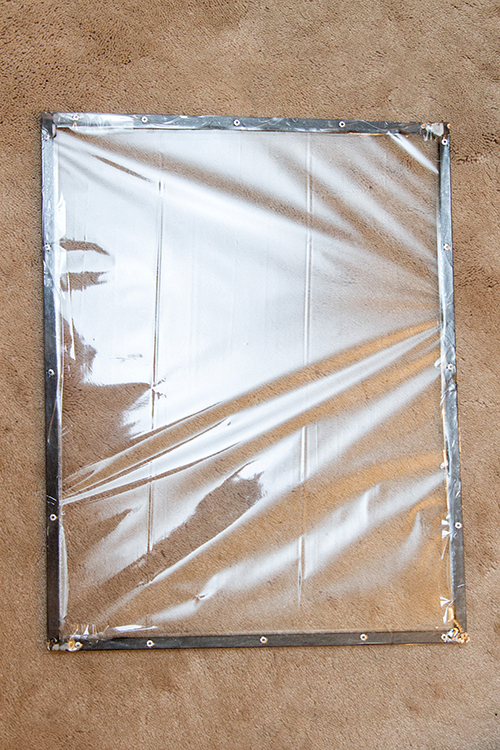 Lets makes some plastic sides to keep that humidity in! Plastic wrap – not the stuff you wrap food with, get the stuff they wrap gift baskets with. Go to a craft store. 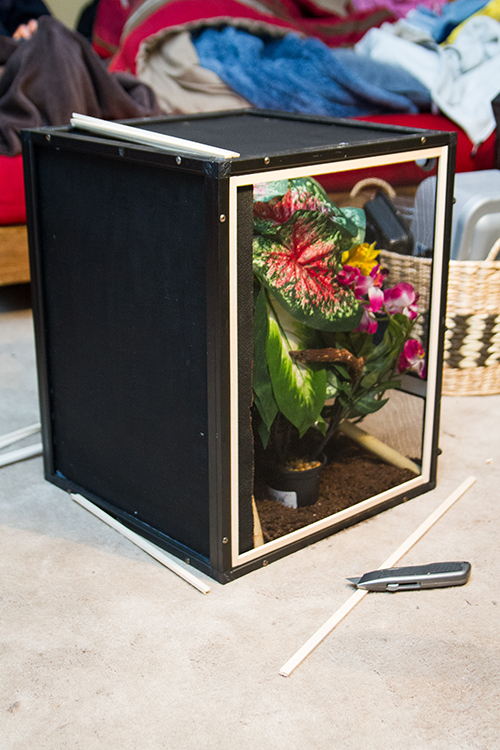 1) Get some rectangular balsa wood and cut it to fit snugly on the inside of the metal frame that creates the cage. 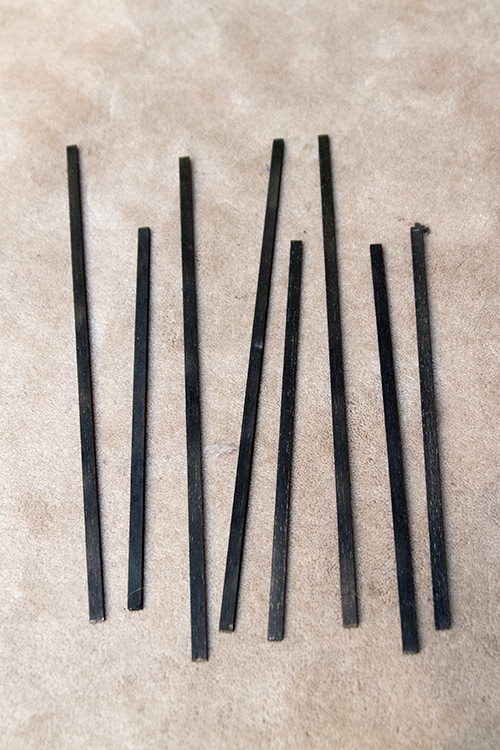 The balsa wood is easily cut with the utility knife. 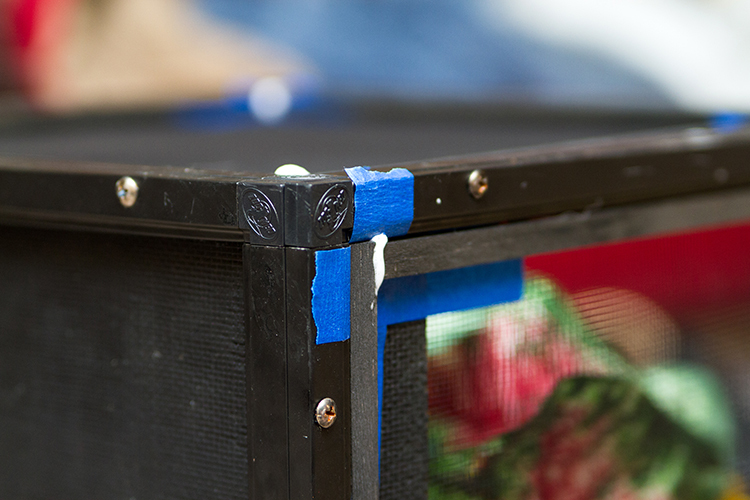 4) Put the tape against the screen and cage frame. 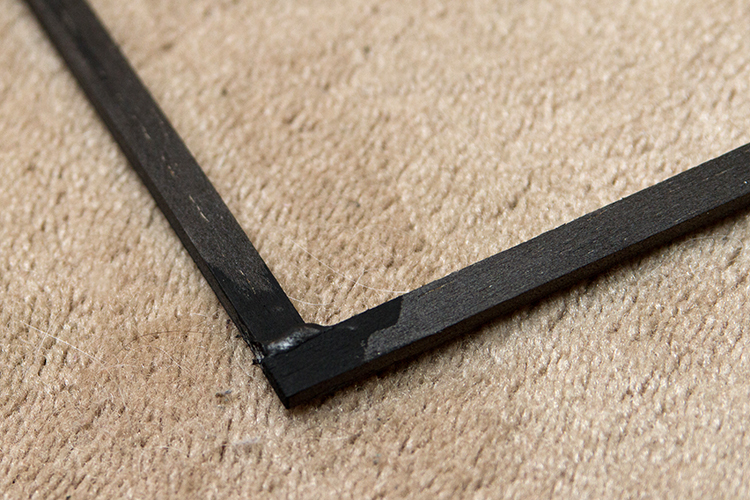 This will prevent the wood frame from gluing itself to the screen cage. Glue it all together in place. This will help you maintain square corners. 5) Closeup of the finished corner. Trim extra glue carefully. Paint it black. 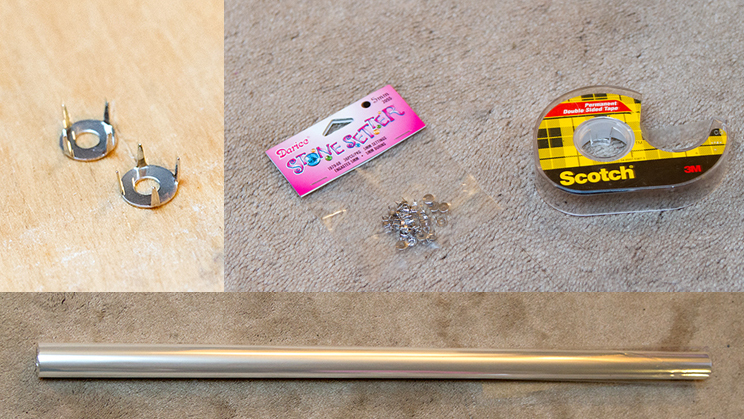 6) Get the gem studs, the double sides tape and the plastic wrap ready to go. 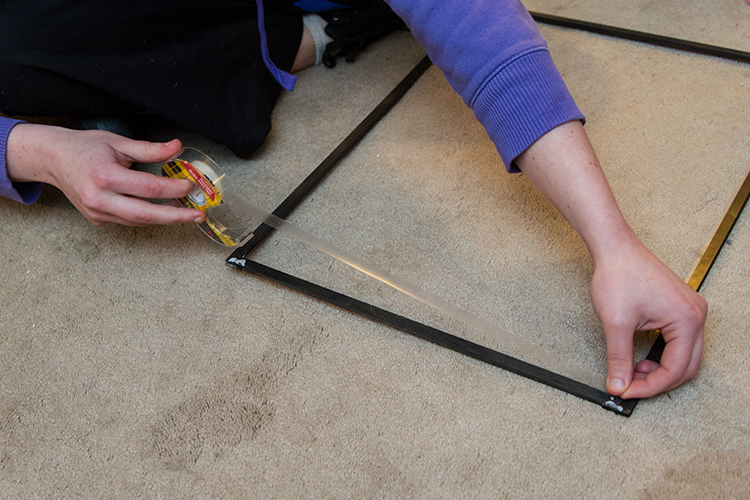 7) Put tape all along the frame. 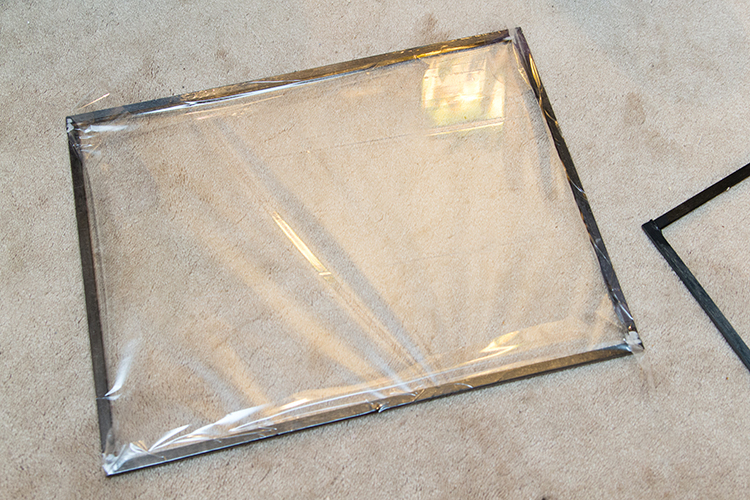 Place the frame on top of the plastic wrap (not pictured). 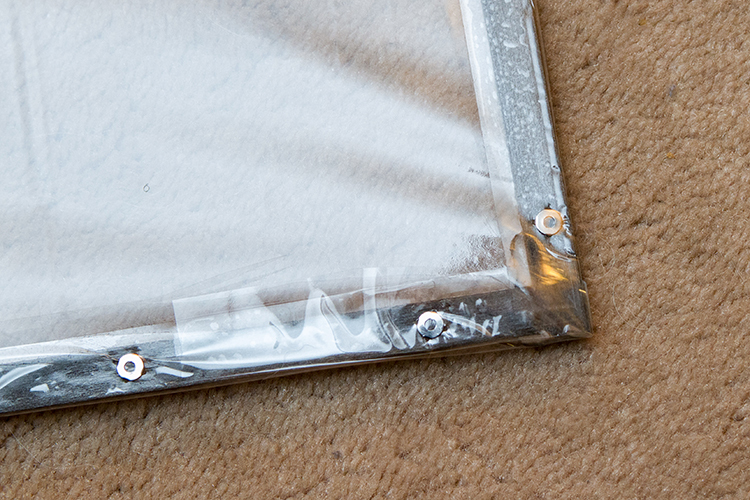 8) Fold the plastic wrap over the side of the wooden frame and press it against the tape. 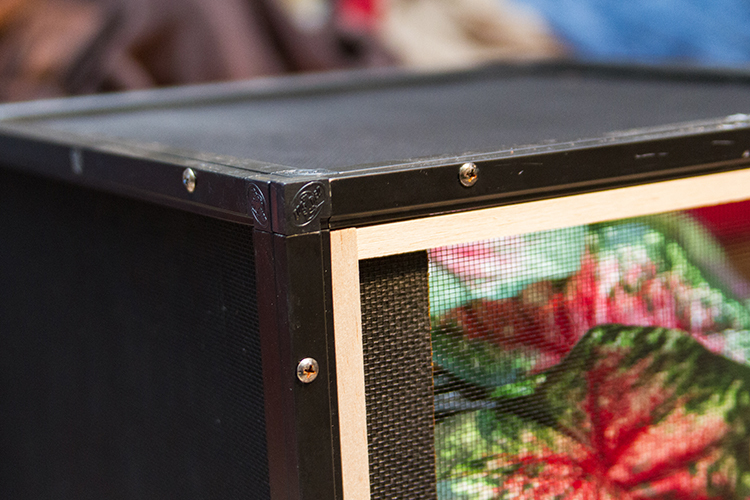 11) The installed frame. If it doesn’t fit perfectly, just add a bit pf painters tape to the corners.